Park Avenue Fertility, a leading fertility center in Connecticut, has attained membership into the Society for Assisted Reproductive Technology; Patients can expect continued standards of excellence. Recently Park Avenue Fertility, with offices in Fairfield and Trumbull Connecticut, has become a member of the Society for Assisted Reproductive Technologies (SART). Membership into SART will provide Park Avenue Fertility the opportunity to continue making further strides for fertility treatments as well as improve industry standards for best practice measures. At a time when one in eight Americans has sought care for infertility, improved tracking of fertility treatment statistics and comprehensive patient advocacy is necessary. Park Avenue Fertility is pleased to be associated with this prestigious group of physicians and specialists. SART is a society of doctors and laboratory scientists who have dedicated themselves to the practice of assisted reproductive technologies. Aside from working in close proximity with government officials to preserve the rights of patients from unnecessary governmental regulation or interference, SART members regularly set and maintain guidelines to better assist patients during their treatments. Fertility centers across the country are regularly contacted for data outcomes, assisting SART to accurately track the success rates of fertility treatments throughout the nation. This data provides patients with current information on local fertility centers, helping patients to make fully informed choices on where to seek In Vitro Fertilization (IVF) treatments. 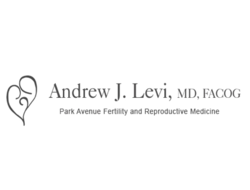 Park Avenue Fertility is a top fertility center in Connecticut, with an impressive IVF success record. Along with IVF treatments, Park Avenue fertility assists with male infertility treatments, complete chromosome analysis, assisted zona hatching for improved IVF results, and frozen embryo transfer. Donor services and surrogacy are additional options offered for patients who are not able to conceive. To learn more about services offered at Park Avenue Fertility, contact their Fairfield CT location at 203-254-6000, their Trumbull location at 203-372-6700, or send an email to Administration(at)parkavefertility(dot)com.